Job interviews are nerve-wracking, to say the least. Even if you’ve got years of experience and the job description sounds like it was written specifically for you, you’re still likely to be nervous. And if it’s your first interview in an entirely new career field? Oh boy. “Nervous” doesn’t even begin to cover it. I’ve been a freelancer for going on eight years. “Interviews” were not part of my vocabulary. And then I decided I wanted to scale back the freelancing, and find a “normal” job (albeit a remote normal job). Which meant interviews. Shudder. I hadn’t been on a job interview since 2004! And I was nowhere near as prepared as I should have been, looking back on that first interview (or the second…or the third…). I’m sure I gave more than one “wrong” answer in those interviews. In fact, I didn’t even think my first interview with Skillcrush went all that well and was surprised when I got a second interview! The good news is that it’s not the end of the world if you say one wrong thing. But that doesn’t mean you shouldn’t be as prepared as possible before stepping into your first tech interview. You know what not to say, but how do you answer those tough questions you’re bound to be asked? 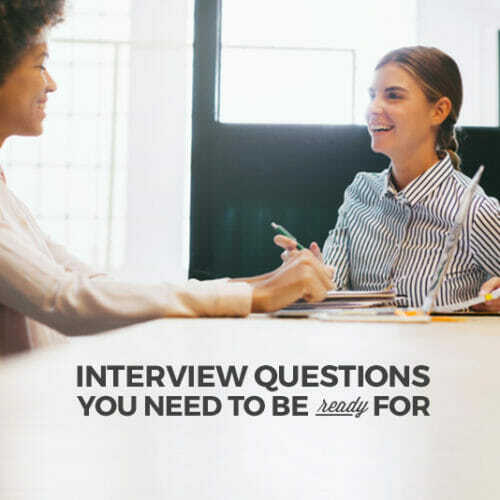 Here are a few of the most commonly asked questions you might encounter, and how to prepare to answer them, particularly in a tech interview. 1. Do you like to work alone or as part of a team? This is kind of a trick question. If you say you prefer to work alone, then you may come across as a loner. If you say you prefer to work as part of a team, then you might come across as incapable of working on things independently. So the safe bet here is to say both, even though that may feel like a cop-out. Express that you’re happy to dive into team projects, but you also like to work on aspects of projects alone to get things done quickly. The ideal employee in almost every tech company is one who can work well with others while also being able to take on projects solo without handholding. 2. What’s the best part about your current/last job? This is a great time to emphasize the parts of your job that you like that will carry over to your new position. If your dream tech job will include working with clients, and you’ve been working in retail, you could say that you’ve loved building relationships with your regular customers. Of if your new position will include a lot of data organization and reporting, you can talk about how you loved organizational tasks at your old job (even if they weren’t data organization). Think about ways that general tasks from your last job could roughly translate into tasks you might have at your new job and go from there! 3. What’s the most frustrating part about your current/last job? Here’s another place where you don’t want to be too negative. Instead, look at the frustrating things from your old job that will be less likely in your new position. The last thing you want to do is complain about something that isn’t going to disappear in the job you’re interviewing for. For example, maybe part of the new job is diving into the data that drives the company (sales, visitors, etc. ), while at your old job you had no access to information about what was happening behind the scenes. As Randle has mentioned here before, whatever you do, please don’t answer this one with “I’m a perfectionist” or anything else along those lines. Sure, it might be true, but it’s also so commonly heard that it‘s completely unoriginal, and in fact, it’s more of a strength than a real weakness. Rephrasing it as “paying attention to detail and wanting to get things right” doesn’t sound like much of a weakness, does it? Instead, talk about something that is really a negative, but frame it in a way that shows how you compensate for it. For example, you might say that you have a tendency to be disorganized, but to combat that you have a system set up that keeps you on task and prevents important things from falling through the cracks. 5. What in particular are you most interested in working on? This is where knowing something about the company you’re interviewing with, in addition to the specific position, is vital. Know what kinds of things those employees in positions similar to the one you’re interviewing for are doing. And make sure you read the job responsibilities and requirements carefully. For example, if you’re applying for a marketing analyst position and you know that the company uses HubSpot, then you can mention that you’re looking forward to diving into that. Here’s a secret: if you feel like your qualifications are lacking for a certain thing, you can use this question to express your interest in learning more about that particular area. Expanding on the last paragraph, if you’ve only ever used Google Analytics and you know that they use HubSpot for metrics, then you can express your interest in diving into HubSpot and seeing what it can do compared to Analytics. 6. Why are you leaving your current job (or why did you leave your last job)? Be careful with this one. You don’t want to come across as negative, or disparaging to your current company, boss, or coworkers. Instead, put a positive spin on why you’re leaving. Instead of saying “I’m bored out of my mind,” you could say that you’re looking for new challenges at work. 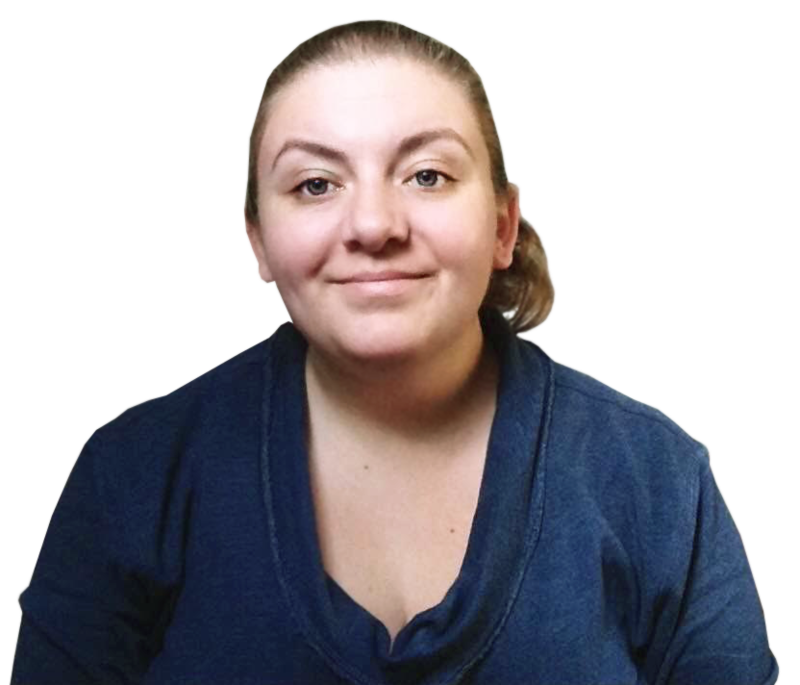 When asked on a recent interview why I was seeking out a more traditional job after freelancing for years, I answered that I was looking to be part of a team again, not that I was tired of feeling isolated and cut off while working. It means the same thing, but it’s all about how you express yourself! Hiring managers will almost always prefer someone who answers with a positive statement rather than a negative one! 7. Do you have examples of your work? Hopefully when you applied for the job, you included a link to your portfolio. But that doesn’t mean an interviewer won’t ask you about specific projects you’ve worked on. They might ask for examples of your most successful project, your favorite project, your most challenging project, or just for a general example or two. Prepare a mental list of different types of projects you’ve worked on, as well as your favorites. This is particularly important if you have a large body of work. When I’ve been asked about examples of things I’ve written, it’s sometimes a struggle to think of specific pieces since I have over 350 articles in my portfolio (not to mention pieces I’ve written that aren’t included for one reason or another). But I can name off a handful of examples of specific pieces off the top of my head if necessary. Be sure you can, too. 8. Where do you see yourself professionally in 3-5 years? This one can be a little bit tricky. If your long-term goals are to be doing something entirely different from the job you’re currently applying for, you may not want to mention that in so many words. What you can say, though, is that you’re looking for work that is fulfilling and challenging, and that you’re passionate about. Now, if you have a clear idea of where you want to be and it’s in line with the job you’re currently interviewing for, then by all means share that plan! Interviewers want to hear that you understand the typical or expected career path that will follow the job you’re applying for. 9. What kind of experience do you have with XYZ language? If you’re applying for a development or design job, you’ll almost certainly be asked how familiar you are with a particular programming language. Unless you’re applying for a senior developer position, you don’t necessarily have to be an expert at the particular language in most cases to get hired. What you do need to show is that you’re very comfortable with it, and that you’re happy to dive in to learn what you don’t know. It’s more important that you show that you’re familiar with coding on a conceptual level, and have good problem-solving abilities. But just because you’ve worked more with Rails than Python doesn’t mean you can’t get a junior developer job if you show that you can quickly figure out problems and how to solve them. 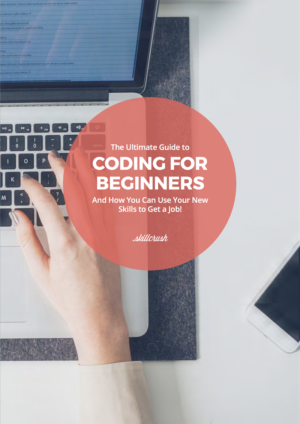 These can be intimidating if you’re new to programming and coding. Brainteasers and riddles can definitely throw you for a loop, especially if you’re not prepared. But what you need to do in that case is show that you aren’t going to get flustered under pressure, and that you can think through problems logically. Spending some time familiarizing yourself with the most common types of brainteasers you might be asked is a good way to prepare. But what’s more important than a correct answer is the ability to think through the problem logically. To that end, talk your way through the problem. Ask any questions that you need to in order to clarify what is being asked. And then tell the interviewer how you’re going about figuring it out. The entire point of these brainteasers is to test your creativity, your analytical skills, and your logic, not to show that you actually know how many gas stations there are in the US. Programming challenges are generally more common at second or third interviews, rather than initial ones. But you should still be prepared at your first interview. In some cases, an interviewer will sit you down in front of a computer and give you a problem to solve (and a time limit). In other cases, you may just have to talk through how you would code something. This is another case where getting the right answer isn’t necessarily the most important part. How you approach the problem and go about solving it is being evaluated just as much. 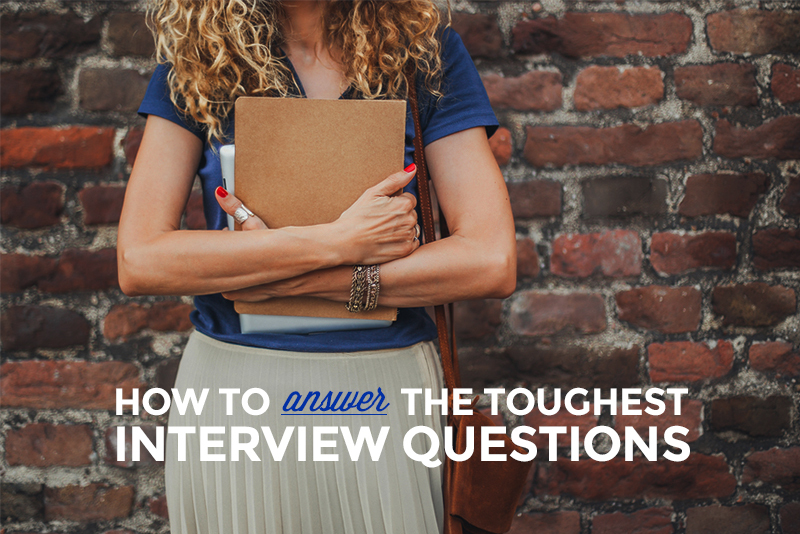 One way to prepare is to take on some programming challenges before your interview. Sites like Codewars can really help you get used to these kinds of questions. 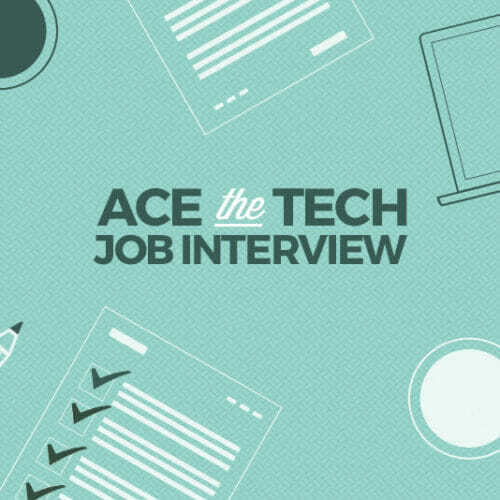 You can also check out our Ultimate Guide to Interviewing for Your First Tech Job for details on how to ace these kinds of code tests. 12. What are your salary requirements? This can be one of the most challenging questions to answer, especially when you’re new to a field. In most cases, though, you want to avoid answering the question at all. Instead, you want the interviewer to tell you what their budget range is for the position. 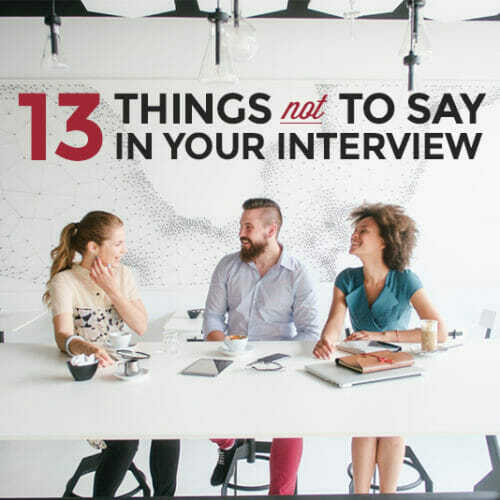 Instead of stating a number when you’re asked, say something along the lines of, “I’m sure that whatever you’re paying is consistent with the going rate,” or “I’m sure we can figure out a fair salary based on what my responsibilities would be.” Don’t be afraid to say that because the job you’re applying for is so much different than your previous jobs, it’s hard for you to specify a salary range. Now, that being said, it’s still vital that you know what the market rate is for the job you’re applying for. If you know that the typical salary for a junior developer job is in the $60,000 range, and they tell you that they’re looking to start someone at $40,000, that’s a potential red flag. Of course, they might make up for the lower salary with amazing perks (remote work, weeks of paid vacation, free child care, technology perks, excellent health insurance, etc.). However, if they asked you what your salary range is and you say $60,000, they might write you off as out of their price range when you’d actually be quite happy working for that particular company for $40,000. You can use sites like Glassdoor or PayScale to find average salary rates for a ton of different positions. We all make mistakes in interviews. 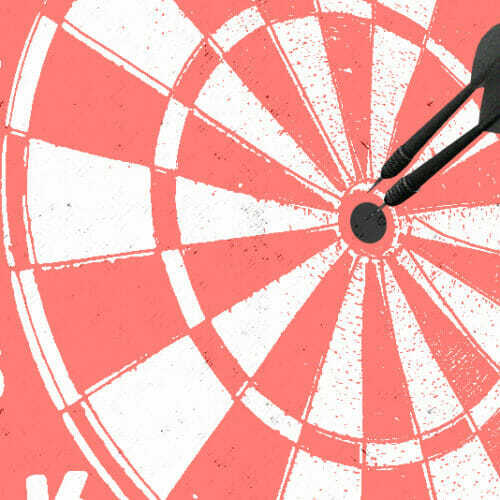 Don’t beat yourself up if you botch a question or stumble to find the right answer. The key thing to remember is that confidence, character, and personality can make up for a lot. But if you combine those with being well prepared for whatever questions you’re asked, you’ll stand out from others competing for the same job! 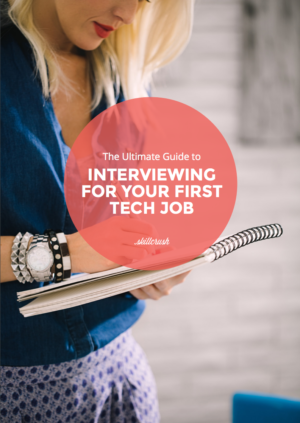 To get even more prepared, check out our Ultimate Guide to Interviewing for a Junior Tech Job!